This article probes the visual implications of urban transformation in Havana in the aftermath of the re-establishment of diplomatic relations between Cuba and the United States on December 17, 2014 (D17). The rapprochement provides a new geopolitical context to study the ways in which binational policy-making and multinational financial investments are reflected visually in Cuba’s capital city. Drawing on fieldwork conducted in Havana in June–July 2015, as well as online sources, the article focuses on parts of urban Havana, where transformations are underway. 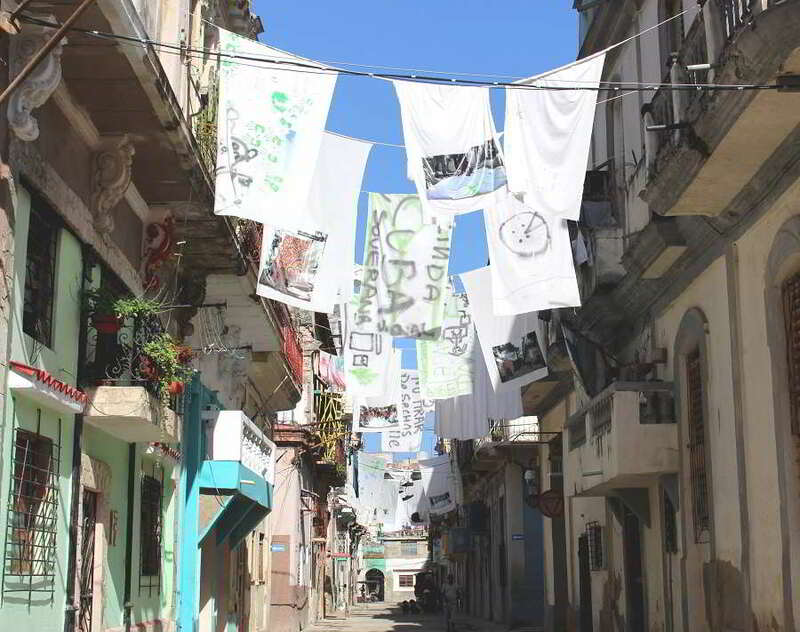 By situating the research in different urban locations, the discussion emphasizes both the significance of visual-spatial power relations and Cubans as a heterogeneous community, whose members have multiple ways to negotiate, interact with, and represent ongoing societal changes impacting their lives. The article poses the following questions: How do various actors in Havana imagine urban transformation in the détente context? How do their differing viewpoints assume visual expression in various parts of the city? What kinds of tensions can be evidenced from official and unofficial visual statements? Urban transformation does not solely entail policy-making, but necessarily comprises a complex web of issues combining financial investments, visual statements, and personal experiences. This article’s visual-spatial framework delineates societal change in Cuba as a complex nexus that intertwines everyday experiences, visual expressions, and formal and informal modes of communication. In so doing, it captures the social realities of residents of Havana in their everyday surroundings, exposing multiple linkages between policy-making and online and grassroots visual culture. Throughout Cuba, visual images—billboards, roadside signs, and posters—are used to influence the opinions of the citizenry. Similarly, individuals express their private opinions about collective issues visually on buildings and in shared space. This article probes into the visual implications of urban transformation in Havana in the aftermath of the re-establishment of diplomatic relations between Cuba and the United States on December 17, 2014 (D17) for the first time since the United States’ trade embargo was imposed on Cuba in 1962 (Leogrande and Kornbluh 2015). The rapprochement provides a new geopolitical context to study the ways in which binational policy-making and multinational financial investments are reflected visually in Cuba’s capital city. The discussion is premised on a Transnational American Studies analytical paradigm (Gronbeck-Tedesco 2015; Fluck et al. 2011; Heiskanen 2009; Briggs et al. 2008) that decenters the United States as the geographic core of U.S.-Cuba relations. Since the D17 and the reopening of embassies in Havana and Washington, D.C. in 2015, there has been much political, economic, and cultural speculation worldwide about how the détente will affect urban transformation in Havana. In response to this speculation, this article poses the following questions: How do various actors in Havana imagine urban transformation in the détente context? How do their differing viewpoints assume visual expression in various parts of the city? What kinds of tensions can be evidenced from official and unofficial visual statements? The article makes the case that urban transformation does not solely entail policy-making, but necessarily comprises a web of issues combining financial investment, visual statements, and personal experiences. 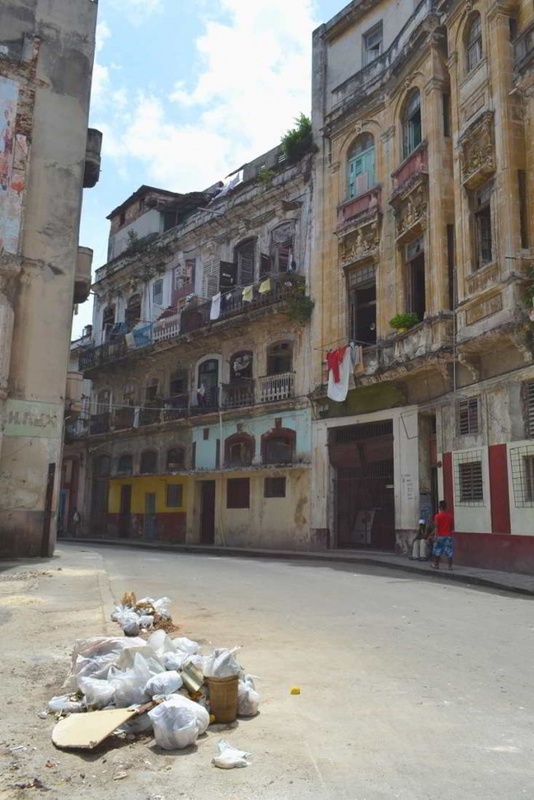 Based on fieldwork conducted in Havana in June–July 2015, as well as online sources, the article focuses on parts of urban Havana where transformations are underway. It first lays out some viewpoints regarding the fraught history of U.S.-Cuba relations, produced by official and online representations. The images discussed reflect the ways in which visual statements serve as powerful means to convey information and to reinforce political unity, but they also bring up some of the tensions evident in societal developments. The article then examines some of the specific urban imagi(ni)ngs of Havana from the perspective of official and grassroots actors in Havana. To do so, it juxtaposes two adjacent parts of the city, Old Havana (Habana Vieja), the historical center and main tourist attraction, renovated with the assistance of foreign funding, and the Colón neighborhood of Central Havana (Centro Habana), an inner city area historically known for various illicit activities, with little outside investment. 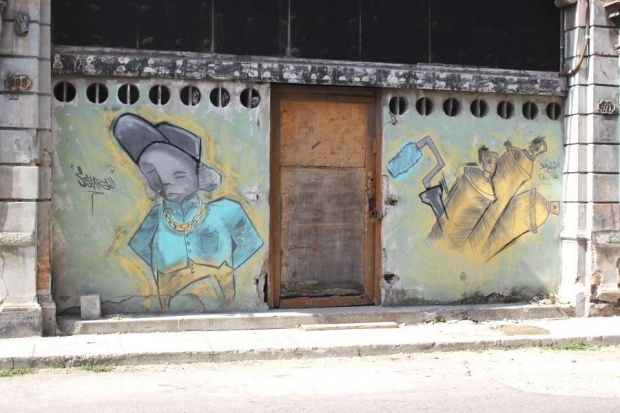 By situating the research in these urban locations, the discussion emphasizes both the significance of visual-spatial power relations and Cubans as a heterogeneous community, whose members have multiple ways to negotiate, interact with, and represent ongoing societal changes impacting their lives. The discussion’s visual-spatial framework delineates societal change in Cuba as a complex nexus that intertwines aesthetic practice, the appropriation of space, and formal and informal modes of communication. Drawing on Jacques Rancière’s (2013, 2004) work on the political dimension of aesthetics, the article captures the social realities of residents of Havana in their everyday surroundings, exposing multiple linkages between policy-making and online and grassroots visual culture. The logic here is twofold: on the one hand, the visual-spatial approach explicates “aesthetic acts as configurations of experience that…induce novel forms of political subjectivity” (Rancière 2004, 9). On the other hand, the visual-spatial framework gives access to “insight that is not accessible by any other means” (Banks 2011, 4), while enabling “investigative serendipity, the following of a line of inquiry that could not have been predicted in the original research design” (ibid., 9). The focus on visuality and spatiality is meaningful, moreover, in that it demonstrates, as Sarah Pink (2012, 3) puts it, “how we know as well as the environments in which this knowledge is produced.” Indeed, the visual-spatial intersection—the “where” and “how”—calls attention to the significance of where societal discussions and image productions take place as well as people’s claim to and maneuvering within urban space (Heiskanen 2016; Glass and Rose-Redwood 2014; Lefebvre 1996; Burgin 1996). Ultimately, the visual-spatial analytical approach is important in that it does not reduce societal change to political abstraction alone, but calls attention to individuals’ agency in dealing with their experiences of change. Cuba has a strong tradition of visual communiqués providing a means to influence public opinion (De Ferrari 2014; Hernandez-Reguant 2009; Fernandes 2006; Kunzle 1975). Various groups of people—governmental agencies, artists, and individual citizens—appropriate public space for their visual agendas. Roadside signs, billboards, graffiti, and public art with powerful rhetoric express sentiments about the ramifications of societal development. Given the troubled history between the two nations, Cuba’s identity and sovereignty are often mirrored against the United States (Belnap and Fernández 1998). Indeed, U.S.-Cuba relations draw heavy-handed criticism across the island. 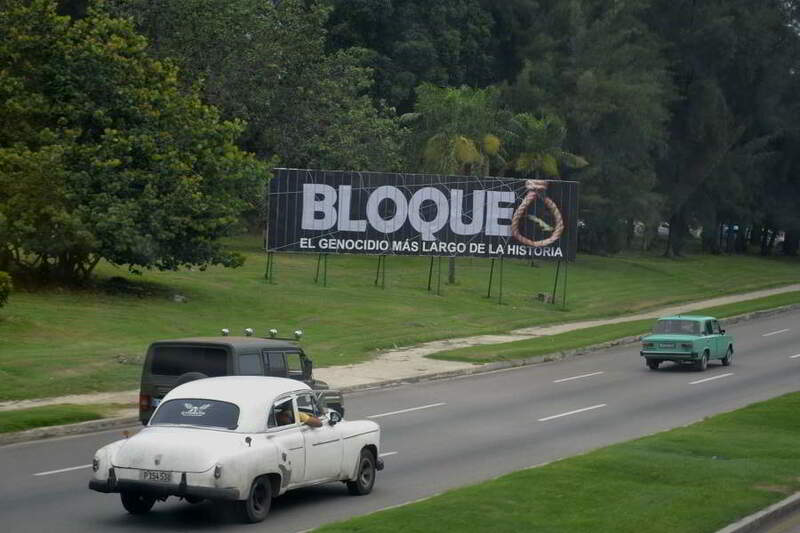 Below, in Image 1, entitled Bloqueo (‘blockage’, meaning the embargo), the impact of the half-century long economic isolation is depicted as genocide, symbolized by the noose on the billboard. Whereas the official rhetoric of the United States has been to support the Cuban people but not the government, the roadside imagery poignantly challenges such an interpretation by depicting the U.S. government as knowingly hurting the people. Image 1. Bloqueo: El genocidio más largo de la historia (‘The Blockage: The longest genocide of mankind.’) Photo: Nadia Nava Contreras. Courtesy of the John Morton Center for North American Studies. In the United States, media discussions in favor of the rapprochement at the time of its announcement focused on improving bilateral liaisons through financial measures. Vox’s Matthew Yglesias (Zurcher 2014) described the Cuban embargo as “the longest-running joke in American foreign policy, and something that can’t come to an end a moment too soon.” Many who advocated for the lifting of the embargo reiterated Obama’s rationale for the change of course: that in 55 years the existing policy had failed to accomplish what it intended—to overthrow the Communist regime. Rather, it had devastated the lives of ordinary Cubans. Some pro-détente advocates in the United States argued that the rapprochement was to benefit the Cuban people: “The people want it, clearly. They’re sick to death of being cut off from the greater North American region they had always belonged to before Castro” (Totten 2014). 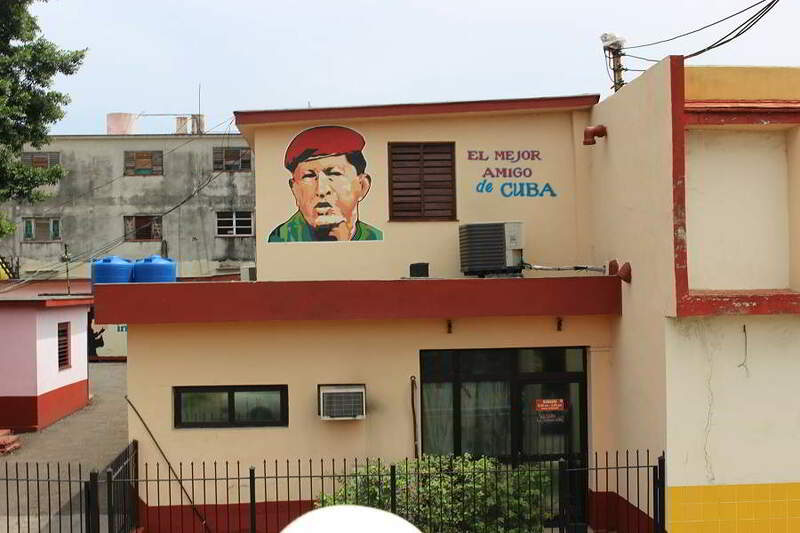 Cuba’s allies, such as the late President Hugo Chávez of Venezuela in Image 2, receive popular endorsements visually on buildings, driveways, and courtyards in Havana. After the collapse of the economic ties with the Soviet Union—known as the “Special Period in Time of Peace”—in the 1990s, Venezuela provided a counterbalance to the U.S. embargo with subsidized goods, such as oil, in exchange for doctors, teachers, and military advisors (Mesa-Lago 2012; 1998). Notwithstanding the drastic recent economic struggles brought by Nicolás Maduro’s government, the interdependence of Cuba and Venezuela continues to be strong. Some economic analysts (Economist 2015) have made the case that the death of Hugo Chávez in 2013 may have given Raúl Castro the impetus to look north for a new trading partner, eyeing toward U.S. tourists as a lucrative source of revenue for the island. Image 2. 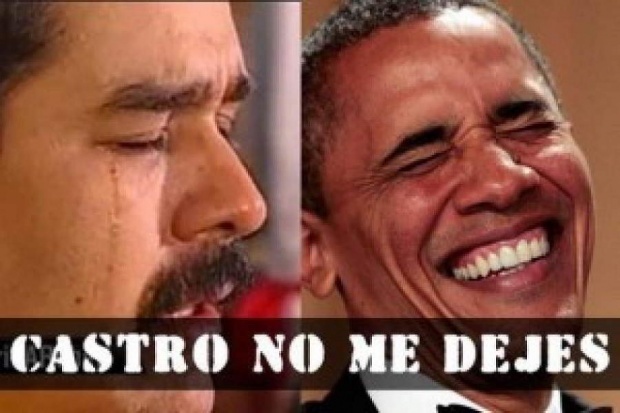 El mejor amigo de Cuba (‘Cuba’s Best Friend’). Photo: Benita Heiskanen. Courtesy of the John Morton Center for North American Studies. U.S. hemispheric priorities including economic and energy integration, a multilateral hemispheric dialogue with emerging powers, the accommodation of Bolivarian elites, immigration, public security, and drug policy have all been undermined by the lack of a stable U.S.-Cuba relationship. Obama’s initiatives toward Cuba are thus best understood as an attempt to better the possibilities of U.S. leadership in the Western Hemisphere (López-Levy 2015). Such arguments raised the alarm bells of those dismayed by the prospects of having U.S. companies take over the island’s economy, to turn it into a “test case for reasserting U.S. hegemony in the Western Hemisphere” (López-Levy 2015). Another hugely popular political portrayal in Havana is that of the “the Miami Five,” depicted in Image 3. The Miami Five—Gerardo Hernández, Ramón Labañino, Fernando González, Antonio Guerrero, and René González—were Cuban intelligence agents who were arrested in Miami 1998 and convicted of conspiracy to commit espionage and various other charges and sentenced between 15 years and life in prison. Their purpose was to infiltrate various Cuban exile groups in the United States. The Miami Five claimed (Guardian 2013) to be trying to prevent terrorist attacks in Havana. The Cuban government first denied knowledge of their actions, but later admitted they were indeed intelligent agents. Image 3. The Miami Five. Photo: Benita Heiskanen. Courtesy of the John Morton Center for North American Studies. The arrests created a huge uproar worldwide and many argued that the agents were wrongfully convicted. The Miami Five were gradually released from prison during the course of the 2010s, and the last ones were freed as a result of a prisoner swap, part of the détente talks between Cuba and the United States. In exchange, Cuba released the ailing U.S. prisoner Alan Gross, who had been arrested in 2009 for bringing satellite phones and computers into Cuba without the permits required under Cuban law. In addition to images of the Miami Five throughout Havana, one also finds inspirational political graffiti stating “5Í VOLVERAN” (Yes, the 5 will return); the first word being a word play with “Sí” and 5, as in Image 4. Image 4. 5í volveran (‘Yes, the 5 will return’). Photo: Nadia Nava Contreras. Courtesy of the John Morton Center for North American Studies. The political images discussed above exemplify the ways in which visual statements serve as a powerful means to convey information and to reinforce political consensus and official ideology. These images conform to mutually agreed unwritten rules and, in so doing, allow uniting together for a common cause—often against a mutual adversary—as in the case of the Embargo roadside sign. 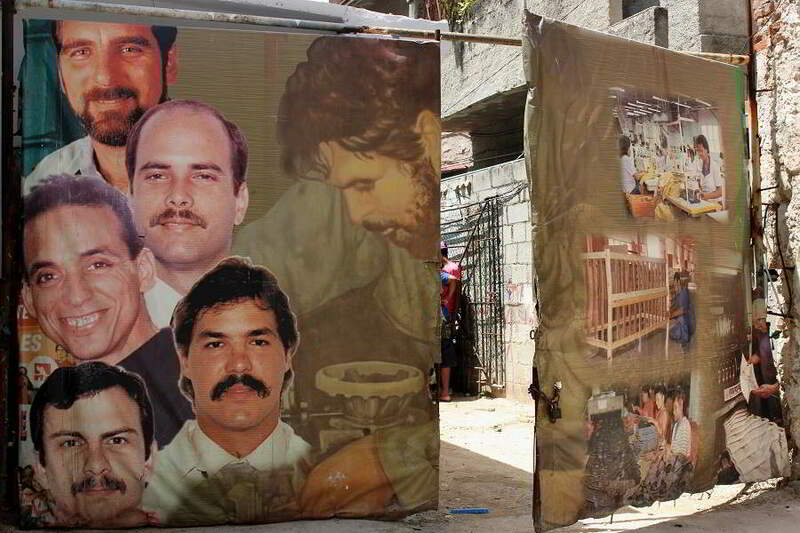 Pro-regime visual expressions in shared space not only carry strong partisan undertones, but also depictions of individuals as subjects affected by political decision-making, exemplified by the Miami Five imagery. As with the Hugo Chávez portrayals, visual conformity to official ideology implies an important modus of partisan identity representation, one that does not challenge status-quo rhetoric or the one-party system. It is uncertain whether the image producers are de facto representatives of the ruling party or seeking affiliation with them for a sense of security. Even so, we can assume that such imagery effectively serves as a means of political reinforcement of the powers-that-be. Image 5. 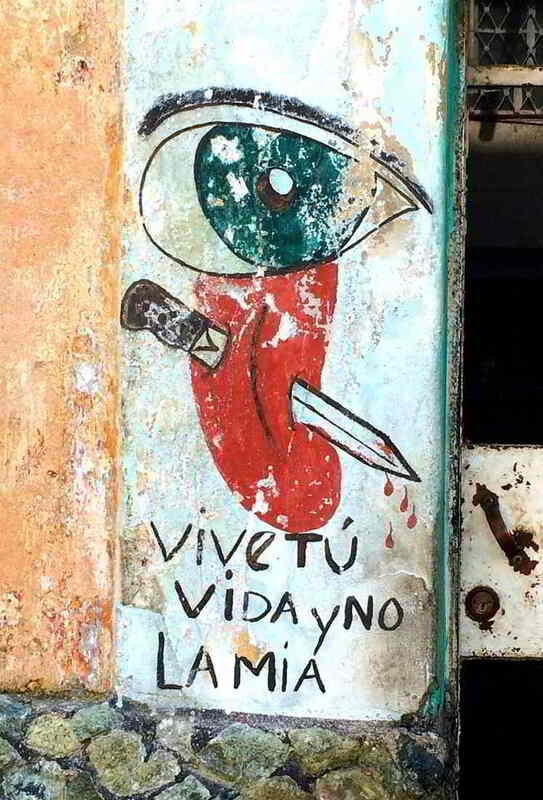 Vive tú vida y no la mía (‘Live your life and not mine’). Photo: Benita Heiskanen. Courtesy of the John Morton Center for North American Studies. The image may be interpreted in various ways on individual, collective, and societal levels. It evokes what Rancière (2004, 63) has defined as a “double effect” of political art: “the readability of a political signification and a sensible or perceptual shock caused, conversely, by the uncanny, by that which resists signification.” As the author is anonymous, we ultimately have no way of knowing what he or she may have meant with the depiction, whether it is meant as an act of political subjectivization. Yet the strikingly violent symbolism suggests fierce emotional frustration with the intrusion of an omniscient eye into private space, interfering with how one chooses to live one’s life. Image 6. Castro no me dejes (‘Castro don’t leave me’). Source: Soy502.com. 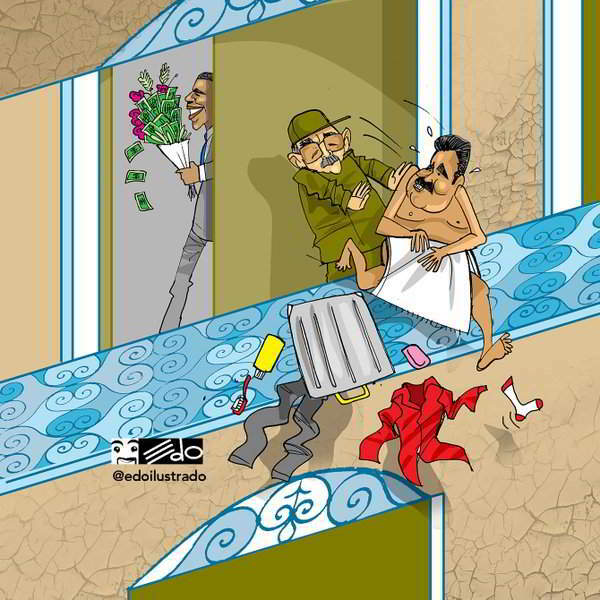 Image 7, in turn, depicts a widely grinning Obama paying a visit to Castro, with a bouquet of flowers and dollar bills in hand, while Castro is pushing the hapless, semi-dressed Maduro off the balcony rail, complete with his clothes and personal hygiene items flying around. Image 7. El huésped incómodo (‘The uncomfortable guest’). Source: Yusnaby.post. 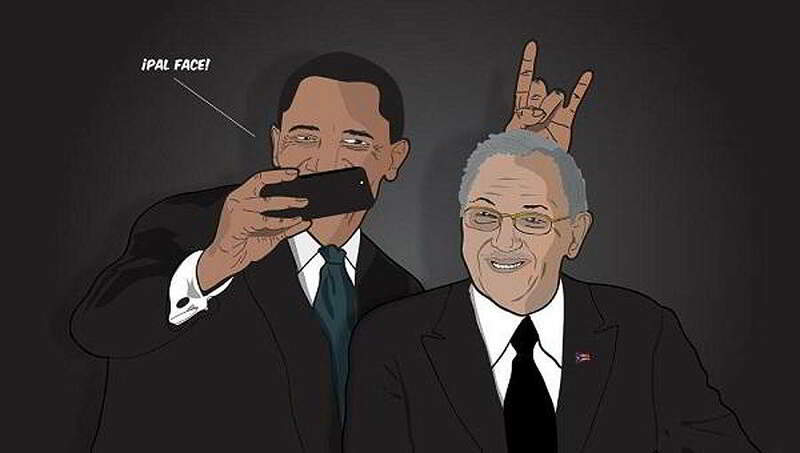 The new “best friends” are often depicted as taking selfies together, as in Image 8, entitled “Pal Face.” The best friend motif stems from the presidents’ televised D17 addresses. In his speech, President Obama’s call for reuniting was underlined by his claim in Spanish that todos somos americanos (‘we are all Americans’), while President Castro assured that the arrangement is based on mutual respect, sovereignty, and the independence of both nations. 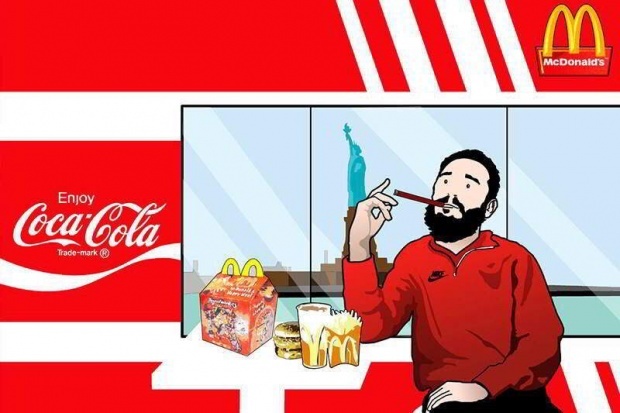 In comparison to the singular images conforming to official party politics, memes and other humorous online representations provide a means to complicate the power relations involved. Image 8. Pal Face! Source: Crónica Viva. Across the world, the re-establishment of diplomatic relations between the United States and Cuba was generally met with surprise; few media commentators saw it coming. Yet the process did not happen overnight. Obama indicated already during his candidacy that a policy shift toward Cuba would be on his agenda. Castro and Obama assumed office in 2008 and 2009, respectively, and each had been working on various kinds of national reforms. Obama, for example, lifted many of the restrictions on travel, remittances, and financing of exports between the United States and Cuba already in 2009, resulting in a major boost in tourism (Chávez et al. 2005). For his part, Castro gradually allowed sales of private property, purchases of cell phones and computers, and private enterprise for Cuban citizens to make a living off of the tourism industry. In 2011, the educational, “people-to-people” category of travel for citizens of the United States was reopened, while Castro removed the requirement for an exit permit to leave the country. The most vocal U.S. opponents to the policy change came from the ranks of the Republican Party as well as Floridians of Cuban descent. The critics’ arguments were based on three main viewpoints: the de facto loss of the Cold War, the condoning of human rights violations, and giving up on fundamental U.S. ideals. In this view, the Cold War was either won or lost, and engaging in dialogue with the Cuban regime meant surrender or, as Yoni Sanchez (2015), a Cuban dissident, puts it, “Castroism has won — again.” From the Cuban perspective, the economic argument that the U.S. is “missing out” on economic deals because of the embargo reinforces the perception of “Yanqui” economic imperialism, symbolized by the Statue of Liberty, Coca Cola, and McDonald’s taking the best of the Cuban people, as depicted in Image 9 below. Image 9. Enjoy Coca-Cola. Source: Yusnaby.com. Online images, as in the examples above, make it possible to call attention to political developments in real time outside the censorship of mainstream media. The online visual representations, in effect, enable a form of visual political participation in which grassroots activism and cyberpolitics intersect. By providing opportunities to engage in various parallel discourses, they allow their users to make fun of, take a stand on, and express alternative viewpoints on developing political events. Because of the online circulation “their end purpose, the uses they are put to and the effects they result in,” to quote Rancière (2004, 20) again, cannot be predetermined. However, online representations necessitate access to the Internet and are only available to those who do. According to existing statistics, up until the détente, Cuba only had a 4.1% Internet access rate per household, the lowest in the western hemisphere (ITU 2015). In 2015, the Cuban government launched a strategy for the expansion of public Internet access on the island by establishing hotspots, with pre-paid cards for users to purchase. The gradual availability of Internet connectivity prompts important questions regarding the distribution of knowledge and access to information. Meanwhile, visual imagery in shared public space provides a more accessible platform for expressing anonymous, grassroots viewpoints. The process of urban transformation in Havana intensified in the 21st century. The city provides an example of urban restructuring where a range of global influences converge. Notwithstanding the U.S. economic embargo, Cuba has not been cut off from other parts of the world. In recent decades, its main business partners have been Venezuela, the European Union, and China (Erikson 2005). In the aftermath of the collapse of the Soviet Union in the 1990s, European nations began investing in efforts to restore cultural heritage sites in the city. In the 2000s, the influx of Latin American, European Union, and Asian capital expanded, alongside private funding from Cubans living abroad. The financial assistance of Spain, France, and the European Union, in particular, is evident in the restoration of the colonial architecture of Old Havana (Alfonso López 2013). Throughout Plaza de Armas, the main square of Havana, there are plaques dedicated to European nations and the European Union. Yet the distribution of foreign capital and resources has been conspicuously uneven: the areas visited by tourists and wealthier locals with access to the tourism industry are experiencing the most noticeable changes. 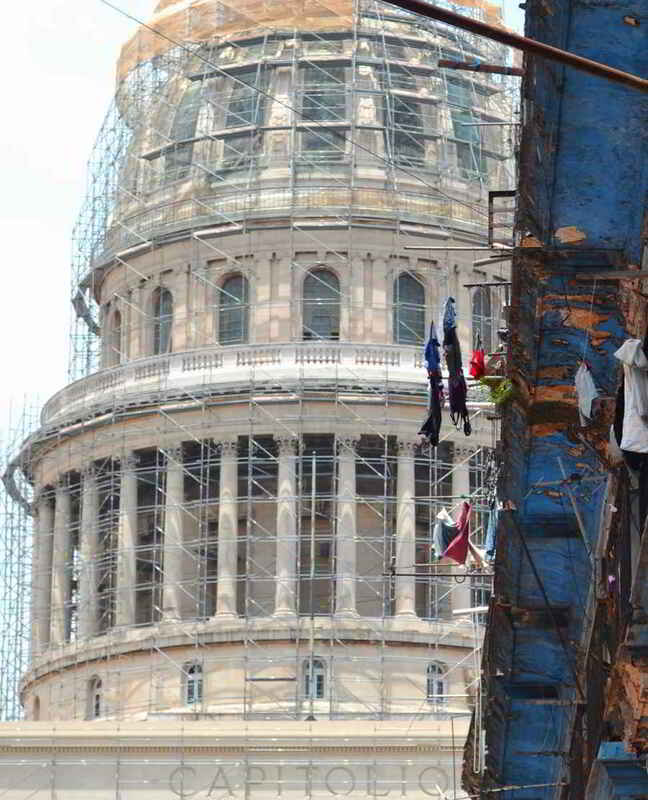 Image 10, which depicts the restoration of the National Capitol Building, exemplifies a typical site in the city where renovation processes and decaying old architecture stand side by side in stark contrast to each other. After the Revolution of 1959, the Capitol, which resembles the United States Capitol, has not housed the government but is the home of the Cuban Academy of Sciences. Image 10. Capitolio (National Capitol Building). Photo: Nadia Nava Contreras. Courtesy of the John Morton Center for North American Studies. Old Havana, a UNESCO World Heritage Site, is the city’s main tourist attraction, which in the past decades has been reconstructed with the assistance of the Cuban government and European funding. According to Scarpaci et al. (2002, 158), as many as six agencies and national commissions were tasked with preserving Havana’s built heritage: “For example, three branches of the government as well as UNESCO worked to save Plaza Vieja. 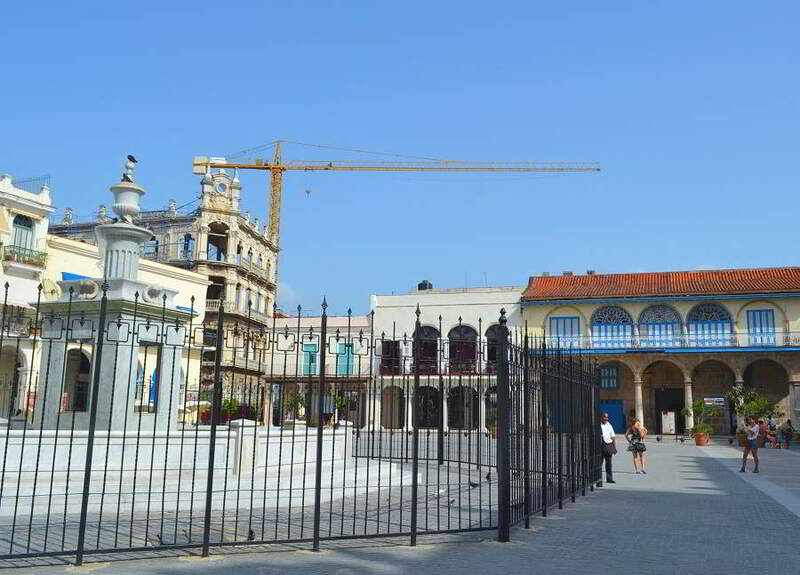 Perhaps the greatest support for historic preservation came in 1982, when UNESCO declared Habana Vieja and the network of colonial forts a World Heritage Site.” The restoration of the historic Old Town was a chicken-and-egg type of necessity needed both to draw foreign investment and to attract more tourism (Freeman 2014). The preservation effort resulted in renovations or constructions of buildings, museums, and cultural centers, boosted by the influx of foreign financial capital. Whereas much of the Revolution of 1959 focused on bringing the development of rural areas into par with urban areas, the emphasis during the past decades has been the reconstruction of major cities in an effort to promote tourism. The dual-currency system, which separates the tourism-economy from the local economy, is striking. Individuals with access to the tourism industry have significantly better incomes and buying power in comparison to those that do not (Krull 2014; Wilson 2013; Hernandez-Reguant 2009). 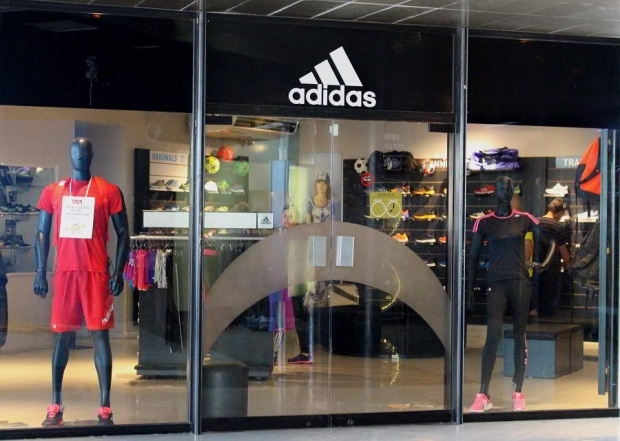 Contrary to images circulating in international media about Havana, famous brands, such as Lacoste, Adidas, Puma, and L’Oréal, are readily available in areas frequented by tourists, as evidenced by Image 11. Whereas international pundits have been speculating about the impact of a U.S. economic invasion, European and Canadian companies have already laid stakes in the country with their economic agendas. Image 11. Adidas. Photo: Benita Heiskanen. Courtesy of the John Morton Center for North American Studies. As with the depictions of binational relations, various visual statements produced by official and grassroots actors alike reveal that city planning is also a source of tensions. In Image 12, the statue of Carlos Manuel Céspedes, considered the Father of the Nation, is cordoned off from the reach of people, symbolically reinforcing the divisions between the haves and have-nots. The tensions between different factions in the country are not new; however, they have assumed new meanings in recent years. Image 12. Plaza de Armas (‘Parade Square’), Statue of Carlos Manuel Céspedes. Photo: Nadia Nava Contreras. Courtesy of the John Morton Center for North American Studies. Image 13. Ojo del ciclon (‘The Eye of the Cyclone’). Photo: Benita Heiskanen. Courtesy of the John Morton Center for North American Studies. The image provokes several thoughts. 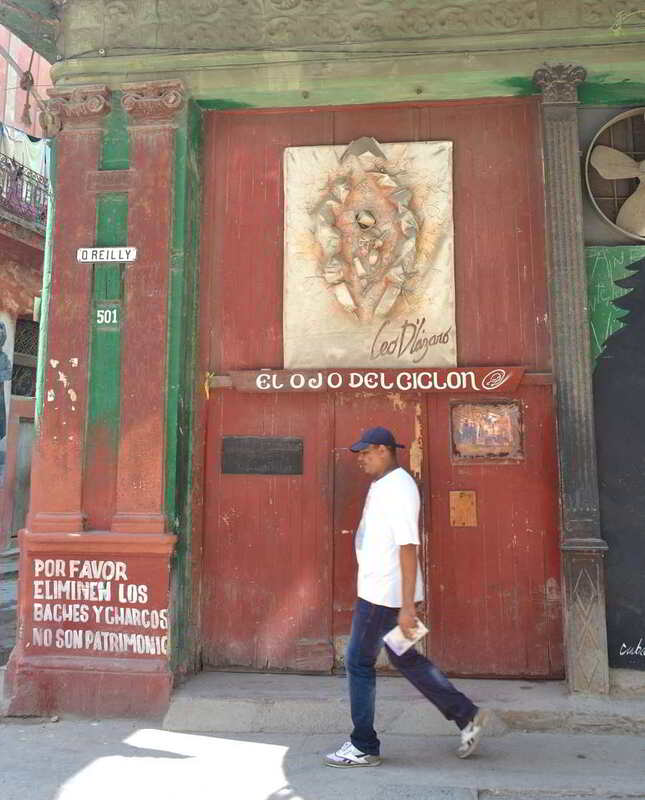 As it is located on O’Reilly Street, a main thoroughfare of Old Havana—an epitome of the restoration efforts—the image implies criticism of what is considered to be “heritage.” The location of the text on the lowest corner facing the street speaks to the necessity of semi-clandestine, grassroots reproach, which is quite distinct from the imagery promoting the government agenda discussed in the previous section. Moreover, the image implicitly takes issue with the economy, which contributes to an uneven distribution of wealth, resources, and infrastructure. Image 14 offers a similar example. In it, a mouse-like rodent is depicted as saying: Ya no quiero más queso (‘I don’t want any more cheese’). 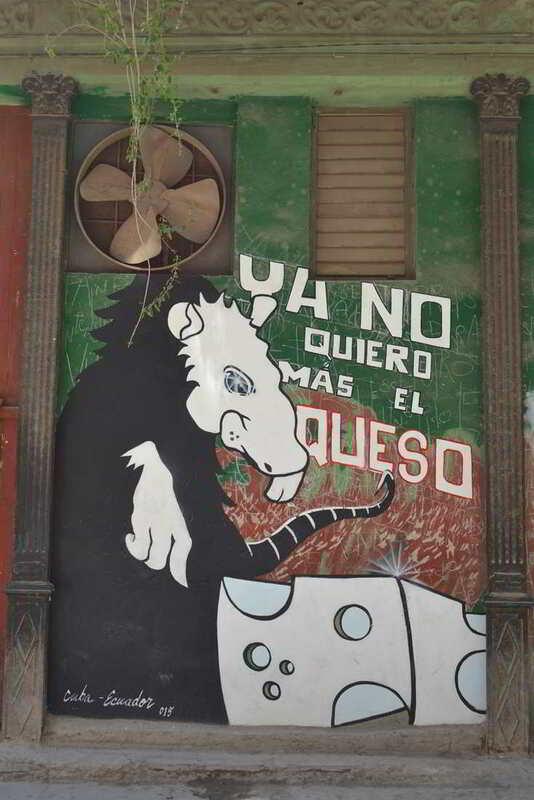 Given that “cheese” is a slang term for money, and that mice are known to be cheese-lovers, one could interpret the image as a protest against the infiltration of foreign capital into Havana and, perhaps, against the masses of tourists flooding into the country with their “cheese.” The signature of the image “Cuba-Ecuador 015,” in turn, implies a possible politico-economic commentary. Image 14. Ya no quiero mas el queso (‘I don’t want any more cheese.’) Photo: Benita Heiskanen. Courtesy of the John Morton Center for North American Studies. In contrast to Old Havana, the inner city neighborhood of Colón in Central Havana, which lies adjacent to Old Havana, carried a reputation as the historic vice district of the city, with flourishing prostitution and drug trade in the 20th century. According to Scarpaci et al. (2012, 58), Central Havana was originally the site of Spanish immigrants and lower-middle-class workers, who constituted Havana’s “new urban proletariat.” Unlike the historic Old Havana, the Colón neighborhood today does not attract official foreign funding of any kind, nor is it a priority area for real estate investment. Rather, it exemplifies grassroots approaches to housing renovation, citizen activism, and public art. Even if in today’s Colón one does not see visible criminal activities or experience a sense of danger, the ironworks covering the doors and windows of buildings remind visitors of its sordid past. 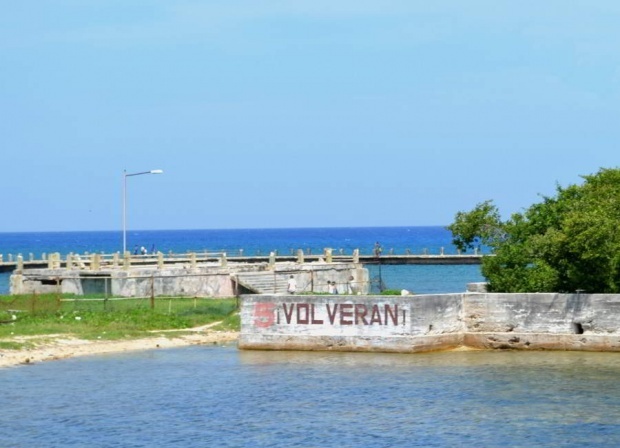 Pre-1990s policies of urban development focused on the outer areas of Havana, which led to a deterioration of inner city infrastructure with substantial consequences for people’s standard of living. Whereas Old Havana has, for example, state-of-the-art recycling sites (complete with compartments for paper, plastic, glass, and aluminum) sponsored by the European Union, Image 15 testifies to a major sanitation problem in Cólon, caused by inefficient garbage disposal and transportation. Image 15. Untitled. Photo: Nadia Nava Contreras. Courtesy of the John Morton Center for North American Studies. 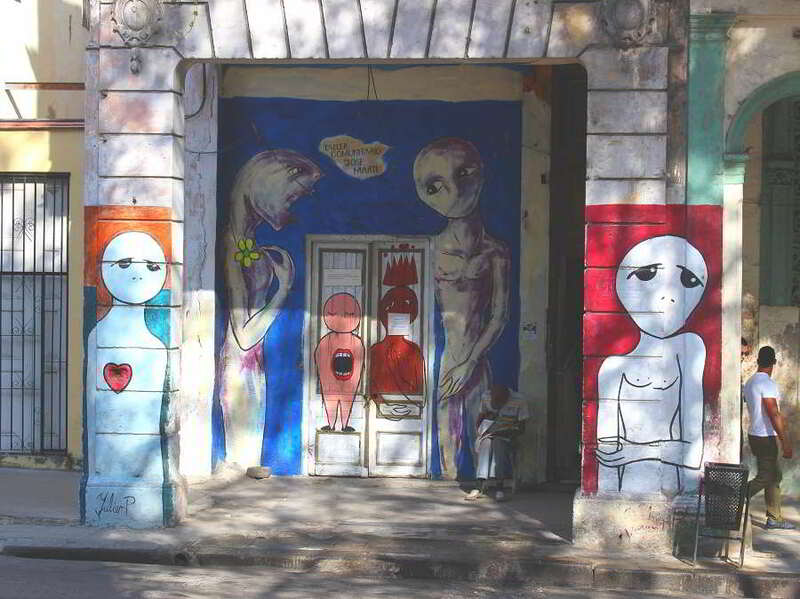 Throughout Colón—and elsewhere in Central Havana—there is a strong presence of street art and graffiti. Image 16 portrays a “laundry exhibit” in the neighborhood. Although much of the text is illegible, one cue hints at the exhibit’s message. The most visible text proclaims “BEAUTIFUL, SOVEREIGN CUBA,” suggesting a demonstration of some kind, one which the residents of the neighborhood will likely be able to attach meaning to and react upon. Image 16. Linda Cuba suverana (‘Beautiful, sovereign Cuba). Photo: Benita Heiskanen. Courtesy of the John Morton Center for North American Studies. The graffiti in Image 17, in turn, depicts youth sub-culture, perhaps influenced by rap or reggaeton—as suggested by the character’s outfit and accessories. The paintbrush and spray cans point to a creative process, perhaps the reinvention of one’s own identity, rather than conforming to preconceived notions established by older generations. The look on the character’s face, as well as the hands hidden behind the back, evoke a clandestine action, secrecy, and non-conformance. Depending on one’s viewpoint, one could also offer a critical reading of the image: that it poses a forewarning of some kind. Image 17. Untitled. Photo: Benita Heiskanen. Courtesy of the John Morton Center for North American Studies. Whatever the case may be, street art in Colón and elsewhere in Havana may serve as conversation starters on collective issues regarding the ramifications of societal development. The parallel discourses that such informal visual statements offer entail various open-ended possibilities for reinterpretation, serving as competing viewpoints vis-à-vis official depictions. The ways in which people respond to ongoing events also expose how different modes of communication are tied to questions of individual and collective agency. Ultimately, then, these images provide sources of information to contemplate visual commentary that falls outside of official communication networks. Street Art by Yulier P.
A prime example of street art in Havana is the work of Yulier P. [Rodríguez Perez], a graffiti artist and muralist, who is ubiquitous in the city. Image 18, which is the entrance into his community studio, showcases some of his uncanny, alien-like figures, always painted hairless. The images by Yulier P. resist closure, inviting endless questions and open-ended interpretations. Albeit ambiguous, they are invested with powerful emotion. Image 18. “Community Studio José Marti” by Yulier P. Photo: Benita Heiskanen. Courtesy of the John Morton Center for North American Studies. Image 19 features a character that could be interpreted as a non-conforming adult or an adult in an infant’s body; s/he might be wearing shorts or diapers, but the necklace prevents any singular readings of gender. What the figure is sniffing is not clear either: it might be the smell of a rose, but it could also be something more sinister, such as a heart or an illegal substance. One reading could be that the seemingly deformed figure is a product of substance abuse. Whatever one’s interpretation might be, the image forces the viewer outside of one’s comfort zone. Any reading is, of course, culture-specific, so what might be obvious to local residents may not be caught by a visitor’s analytical eye. Image 19. Untitled by Yulier P. Photo: Benita Heiskanen. Courtesy of the John Morton Center for North American Studies. In Image 20, two identical creatures droop their heads back, with their mouths open, ready to catch a chicken drumstick, or a fruit or berry-like object. It is hard to tell for sure what the object is; rather than something edible, it could be a drop of blood. The lackluster expressions and disinterested glances suggest passivity, as if the figures were waiting for something to fall into their mouths without putting any effort into it and without knowledge of what the “something” might be. Image 20. Untitled by Yulier P. Photo: Benita Heiskanen. Courtesy of the John Morton Center for North American Studies. A chance encounter with Yulier P. in Central Havana gave me an opportunity to ask him questions about his art, which captures the curiosity of locals and visitors alike. According to the artist, he insists on creating figures without hair in an effort to underscore the relative—not absolute—character of beauty. Yulier P. makes it a point to emphasize that his is not political art; rather, he defines his art as “social criticism” of the human condition. Some pieces may be about things he unwillingly witnessed or lived through. Even so, he feels they are important to be portrayed and seen. Each image, he asserts, contains a lived experience. At the time of the conversation with Yulier P. in the summer of 2015, the police had investigated him, but had not disrupted his painting. The various visual images discussed in this section—as in the previous one—speak to the ways in which shared public space is reinvented by various actors in the city in different ways. Shared public space is a locus of tensions between official and unofficial versions of current events. Specific and abstract consensus and dissensus (Rancière 2012) viewpoints are attempts to impose or contest official representations. Informal visual statements, then, exemplify the ways in which different strata of society manage to express their viewpoints as agents of their own history, enabling their makers to take a stand and to provide alternative discourses to official viewpoints. While people may feel excluded from tourist areas and oppose some of the government’s agenda, visual statements capture their viewpoints in their everyday surroundings, thus also reflecting their personal socio-spatial realities. Displays of public art serve as an important form of visual intervention, one which exposes multiple linkages between policy-making and grassroots politics of representation. 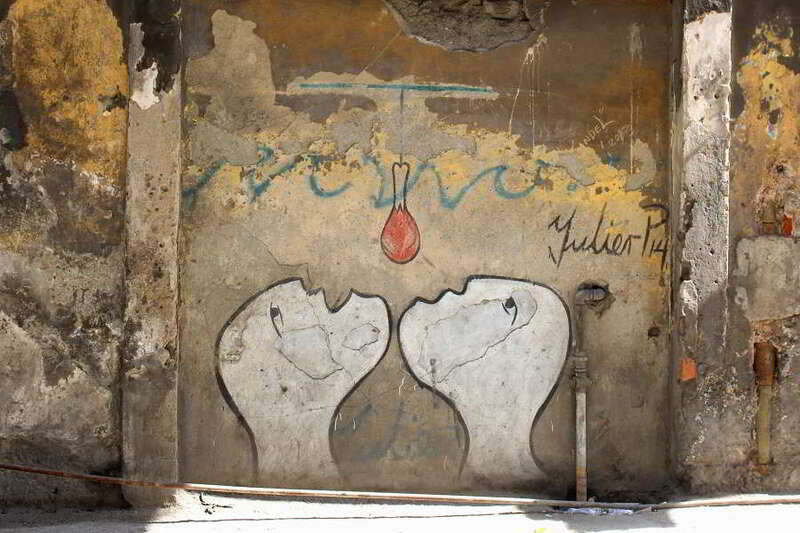 In the case of Yulier P., urban art serves as freedom of expression (if not freedom of speech) as well as an urban spatial struggle. When the series of hurricanes struck the island in the fall of 2017, the artist also deployed his art as a token of solidarity. During the massive flooding in the city, Yulier P. sent images of his work in plastic bottles through the flooded streets of Havana to convey his love and goodwill to the recipients (On Cuba 2017). The ways in which particular urban groups and individuals use shared public space for collective messages to communicate with one another, bottom-up and top-down, has distinct theoretical implications with regards to the creators’ sense of sense of place and being in urban Havana. Since the election of Donald J. Trump in 2016, some of the D17 initiatives have been rolled back by his administration. Moreover, the binational relations have been hindered by a mysterious “sonic attack” by an unknown source on both U.S. and Canadian embassy personnel in Havana, which led to the repatriation of U.S. officials from Cuba, and vice versa. Even though the future of the binational relations is largely in flux, the diplomatic relations between the countries remain in place. Both the United States and Cuba might see yet another shift in existing power relations, with the U.S. congressional election taking place in 2018 and the presidential election in 2020, as well as with Raúl Castro’s resignation in 2018. The potential lifting of the U.S. trade embargo and the future of the U.S. Naval Base in Guantánamo Bay, located on the southern tip of the island, continue as sources of tensions between the two nations and would need U.S. Congressional approval to be resolved. Notwithstanding the contingencies and irrespective of which direction the future affairs of the two nations take, changes are already underway, and the formalization of relationships has created a unique set of conditions that impact the everyday lives of Cubans in tangible ways. A visual-spatial analysis of responses to change in Havana provides a useful tool to penetrate official discourses and to demonstrate the impact of policy-making on the lives of people, who we would not hear from otherwise. Indeed, the most important conclusion that can be drawn from the examples in this article is that the pervasive visual imagi(ni)ngs of Havana provide explanatory power that binational geopolitical discourses alone would fail to capture. All links verified 17 May 2018. “Las Calles que Hablan (mini documental sobre Yulier P.)”, YouTube 11 July 2017. https://www.youtube.com/watch?v=KdzJUCWPIX4. “Botellas al mar, de Yulier P.” Facebook page On Cuba, 21 September 2017. https://www.facebook.com/OnCuba/videos/1473067672789178/?hc_ref=ARSw9ZOW2Q0pOHoQd4o8ZuBHuHcRRnQO0op2xw3m7Vbj-MP_K558u1euIFpqAlGLyi0&pnref=story. Daily Mail, August 21, 2017. “Artist ‘Yulier P’ Detained in Cuba, Told to Erase Murals.” http://www.dailymail.co.uk/wires/ap/article-4810908/Artist-Yulier-P-detained-Cuba-told-erase-murals.html#ixzz4tav7S4NM. Economist, May 29, 2015. “Why the United States and Cuba are Cosying Up.” http://www.economist.com/blogs/economist-explains/2015/05/economist-explains-37?zid=305&ah=417bd5664dc76da5d98af4f7a640fd8a. The Guardian, November 6, 2013. “‘Miami Five’ Case in Unprecendented London Hearing.” https://www.theguardian.com/uk-news/2013/nov/06/miami-five-cuba-legal-hearing-london-espionage. Nunez Leyva, Yanelys. September 5, 2017. “Cuban Artist Yulier P Defies Order to Erase His Murals,” Havana Times. http://www.havanatimes.org/?p=127089. Sanchez, Yoni. December 19., 2015. “Castroism Has Won—Again,” Miami Herald. http://www.miamiherald.com/opinion/op-ed/article4699491.html. Zurcher, Anthony. December 18, 2014. “US-Cuba Deal Has Vocal Critics,” BBC News. http://www.bbc.com/news/blogs-echochambers-30540089. Amnesty International. August 24, 2017. Urgent Action: 189/17. AMR 25/7000/2017 Cuba. Banks, Marcus. 2007. Using Visual Data in Qualitative Research. London: Sage. Belnap, Jeffrey and Raúl Fernández, eds. 1998. José Martí’s “Our America”: From National to Hemispheric Cultural Studies. Durham: Duke University Press. Briggs, Laura, Gladys McCormac, and J.T. Way. 2008. “Transnationalism: A Category of Analysis,” American Quarterly 60: 625–648. Johns Hopkins University Press. Burgin, Victor. 1996. Visual Identity of Place in Different Spaces: Place and Memory in Visual Culture. Berkeley, CA: University of California Press. Chávez, Lydia and Mimi Chakarova, eds. 2005. Capitalism, God, and a Good Cigar: Cuba Enters the Twenty-First Century. Durham: Duke University Press. De Ferrari, Guillermina. 2014. Community and Culture in Post-Soviet Cuba. New York: Routledge. Domínguez, Jorge, Omar Pérez, and Lorena Barbería, eds. 2004. The Cuban Economy at the Start of the Twenty-First Century. Cambridge: Harvard University Press. Erikson, Daniel. February 14, 2005. “Cuba,” Oxford Analytica, 410–418. Fernandes, Sujatha. 2006. Cuba Represent! : Cuban Arts, State Power, and the Making of Revolutionary Cultures. Durham: Duke University Press. Fluck, Winfried, Donald E. Pease, and John Carlos Rowe, eds. 2011. Re-Framing the Transnational Turn in American Studies. Hanover, NH: Dartmouth College Press. Freeman, Belmont. December 2014. “History of the Present: Havana,” Places Journal. https://doi.org/10.22269/141201. Glass, Michael R. and Reuben Rose-Redwood, eds. 2014. Performativity, Politics, and the Production of Social Space. Abingdon: Routledge. Gronbeck-Tedesco, John. 2015. Cuba, the United States, and the Cultures of the Transnational Left. New York: Cambridge University Press. Heiskanen, Benita. 2009. “Where Are ‘We’ in Transnational U.S. Latino/a Studies?” Diálogos Latinoamericanos 16:5–15. Latin American Center, University of Aarhus (LACUA). Heiskanen, Benita. 2016. “‘We Were All Involved’: The ‘Great Violence of 2008–2012’ on the El Paso–Ciudad Juárez Border,” Comparative American Studies: An International Journal 14:3–4, 221–233. Taylor & Francis Group. Hernandez-Reguant, Ariana, ed. 2009. Cuba in the Special Period: Culture and Ideology in the 1990s. New York: Palgrave Macmillan. ITU [International Telecommunication Union]. 2015. “Core Indicators on Access to and Use of ICT by Households and Individuals,” ICT Facts and Figures 2015. Accessed January 11, 2016. http://www.itu.int/en/ITU-D/Statistics/Pages/stat/default.aspx. Kunzle, David. 1975. 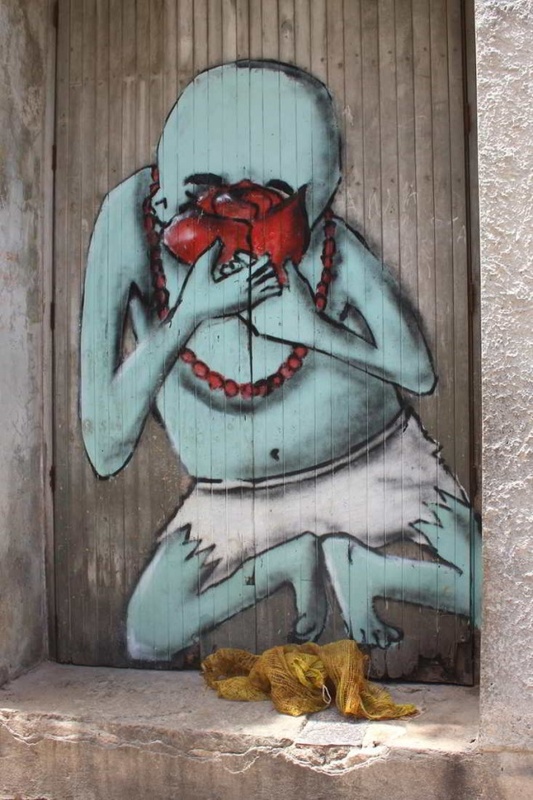 “Public Graphics in Cuba: A Very Cuban Form of Internationalist Art,” Latin American Perspectives 2 (4): 89–110. SAGE Publications. Krull, Catherine, ed. 2014. Cuba in a Global Context: International Relations, Internationalism, and Transnationalism. Gainesville: University Press of Florida. Lefebvre, Henri. 1991. The Production of Space. Original work, La production de l’espace, published in French in 1974. Translated by Donald Nicholson-Smith. Oxford: Blackwell. Lievesley, Geraldine. 2004. Cuban Revolution: Past, Present, and Future Perspectives. New York: Palgrave Macmillan. López-Levy, Arturo. 2015. “What Obama’s New Cuba Policy Means for the Rest of the Americas,” NACLA, Winter issue. https://nacla.org/print/10886. López, Alfonso and Felix Julio. 2013. La Habana: Ciudad Mágica. Havana: Ediciones Boloña. Mariño, Soraya M. Castro and Ronald W. Pruessen, eds. 2012. Fifty Years of Revolution: Perspectives on Cuba, the United States, and the World. Gainesville: University Press of Florida. Mesa-Lago, Carmelo. 1998. “Assessing Economic and Social Performance in the Cuban Transition of the 1990s.” World Development 26: 857–876. Mesa-Lago, Carmelo. 2012. Cuba en la era de Raúl Castro: Reformas económico-sociales y sus efectos. Madrid: Colibri. Pink, Sarah. 2012. Advances in Visual Methodology. London: Sage. Rancière, Jacques. 2004. The Politics of Aesthetics: The Distribution of the Sensible. Original work, Le Partage du sensible, published in French in 2000. Translated with an Introduction by Gabriel Rockhill. New York: Continuum. Rancière, Jacques. 2009. The Emancipated Spectator. Original work, Le spectateur émancipé, published in French in 2008. Translated by Gregory Elliott. London: Verso. Rancière, Jacques. 2013. Dissensus: On Politics and Aesthetics. London: Bloomsbury. Rothkopf, Adrean Scheid. September 2013. “Should the US Government Lift Travel and Trade Restriction on Cuba-Embargo, Commerce,” Congressional Digest 92–7. Scarpaci, Joseph. L., Segre Roberto, and Mario Coyula. 2002. Havana – Two Faces of the Antillean Metropolis, revised edition. Chapel Hill: University of North Carolina Press. Scarpaci, Joseph L. and Armando H. Portela. 2009. Cuban Landscapes: Heritage, Memory, and Place. New York: Guilford Press. Totten, Michael J. March/April 2014. “Letter from Cuba: To Embargo or Not,” World Affairs. http://www.worldaffairsjournal.org/article/letter-cuba-embargo-or-not. Wilson, Marisa. 2013. Everyday Moral Economies: Food, Politics and Scale in Cuba. New Jersey: Wiley-Blackwell. I would like to express thanks to Nadia Nava Contreras and Pekka Kolehmainen for conducting background research with me for this article and for Nadia Nava Contreras for conducting research with me in Cuba. The Faculty of Social Sciences at the University of Turku supported the trip to Havana for launching this research project. I would also like to acknowledge the John Morton Center Research Network’s scholars, who provided useful commentary on the first draft of the article, and to Albion M. Butters, Malla Lehtonen, and Ilmari Pirkkamaa for technical assistance with the article. Finally, thanks to the anonymous reviewers and editors of this volume for their suggestions for improving the article. As Nadia Nava and I ran into the artist unplanned, we could not conduct a formal interview with him, but the conversation was recorded in field notes, dated July 9, 2015. Notes in possession of the author.